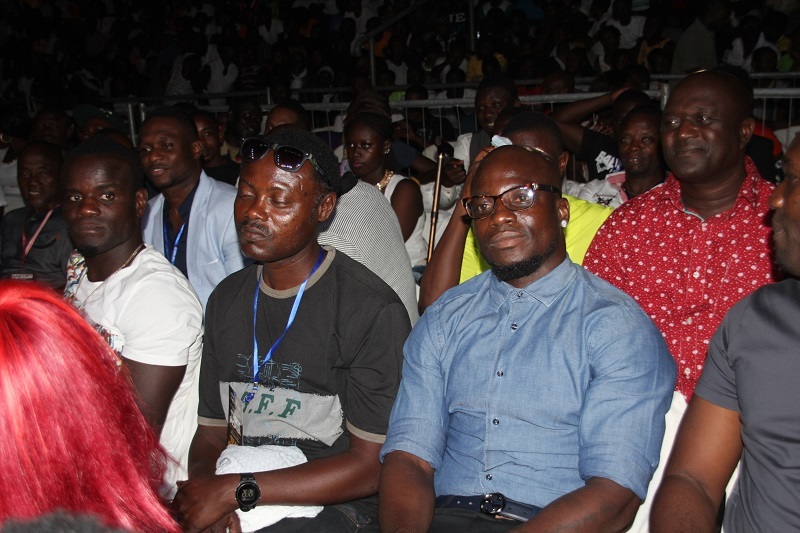 Several of the Black Stars players attended the Boxing Day bout between Emmanuel Tagoe and Sidicki Momba in support of Asamoah Gyan’s Baby Jet Promotions which was hosting the bout. Rahim Ayew led his younger brothers; Andre and Jordan to the bout that took place at the Lawn Tennis Court of the Accra Sports Stadium on Friday. 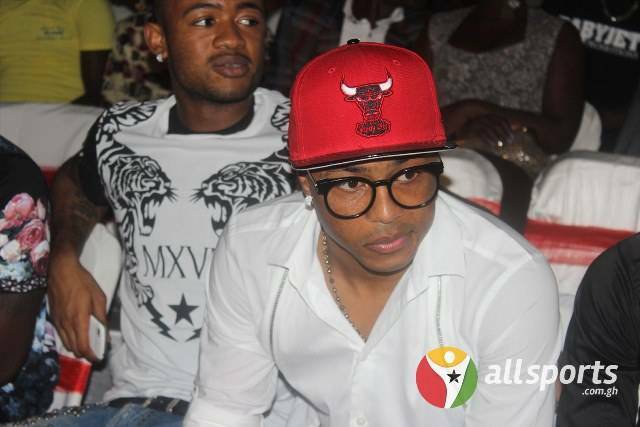 They were joined by Emmanuel Agyemang-Badu and John Painstil at ring side for the fight. Former captain Stephen Appiah was also present to watch the exciting fight which ended in a knockout win for Ghana’s Emmanuel Tagoe. Black Stars assistant coach Maxwell Konadu, team manager Sabahn Quaye and Equipments officer Ishmael Hamidu also showed up for the bout which ended in the early hours of Saturday. Former Ghana striker and the current assistant coach of Cameroon Ibrahim Tanko sat side-by-side with ex Ghana internationals Anthony Baffor and Solomon Torson. Local Ghanaian football stars Asiedu Attorbrah and Abeiku Ainooson were also present. The current and former Black Stars players were called up into the ring to be acknowledged and wished well ahead of their campaign at the 2015 Africa Cup of Nations in Equatorial Guinea. 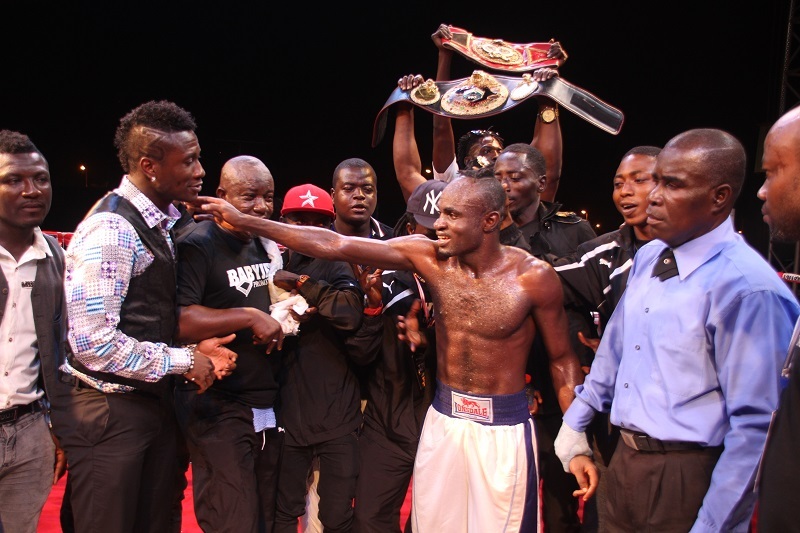 Emmanuel Tagoe secured a knockout win over Sidicki Momba in the WBA Intercontinental Lightweight contest. The ‘Game Boy’ dazzled his Tanzanian opponent into succumbing to defeat after picking up an arm injury midway through Round 6 of the boxing bout staged by Asamoah Gyan’s Baby Jet Promotions. Tagoe had dominated the fight until the decisive moment in Round 6 but Momba was not completely overawed. The Tanzanian put up a spirited fight to excite the crowd at the Lawn Tennis Court of the Accra Sports Stadium which included a host of the Black Stars players. Most of Momba’s rushed punches failed to land in his desperate attempt to impress. But all his efforts came to null when he complained of an arm injury to the match referee who had no choice but to wave for the end of the fight. 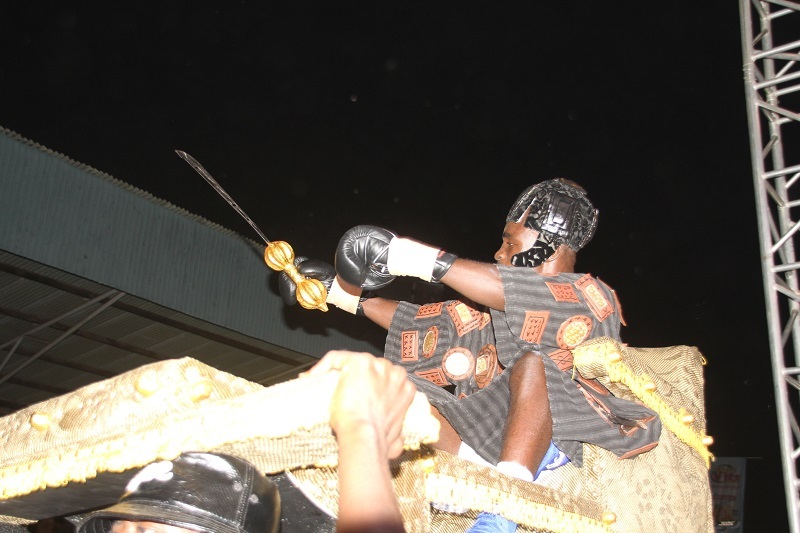 The charged atmosphere around the venue was taken a notch further with the grand entry of Emmanuel Tagoe for his bout. He arrived dancing in a hoisted palanquin in a traditional war smoke to signal his intent right from the start. In the other undercard fights; Michael ‘Bullet’ Ansah defied an early cut on the left eye to beat Ishmael Aryeetey on a unanimous decision while Raymond Commey defeated Kenyan, Nick Otieno to win the WBA Pan-Africa Super Bantamweight championship.